Would you like to get some inside info on the top 5 used motorcycles? If you’re looking for the most economical and most practical way to own a top-ranked bike, the ideal way is to purchase a used one! 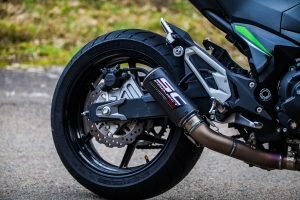 Sure, you would need to scrutinize every minute detail more than you would a brand-new motorcycle but then again, you get to save a hefty amount of money as well! The minute you see this bike, you immediately say, “What a beauty!” True enough, its classic look might just be enough to lure buyers in. But there is more than meets the eye. The Indian Scout Sixty is known for its astounding performance. It’s got a five-speed gearbox, a decent handling, an anti-lock brake system, 3.3 gallons fuel capacity and a powerful Liquid-Cooled 60 cubic-inch V-Twin engine that delivers 65 ft-lbs of torque and 78 horsepower. The ergonomic adjustments in this bike are also optimal for riders who are about 5’7” tall or shorter. That’s why the main issue here for riders over 6’ is the awkward ergonomics. Other than that, it’s a real deal. The top-line Triumph Street Triple S is advertised as “the new street champion.” It is equipped with a fantastic 765cc engine, a six-speed gearbox, ride-by-wire throttle, two riding modes, 54 lb-ft torque, ABS and switchable traction control. It also sports a street fighter look that would still remain very appealing even when it’s secondhand. If you want a sweet sporty street bike that can promise you some serious fun, there’s no way you can skip the Triumph Street Triple S off your list. Come on, everybody has heard about Harley Davidson bikes. Even non-bikers post stickers of the brand somewhere! So really, the brand sells itself. And when it comes to used motorcycles, this classic middleweight cruiser makes the cut to the top. Appearance-wise, it is hands down retro! Performance-wise, there’s some touch of modern to it. The 833 comes with updated emulsion shocks that aid in smoother rides, a five-speed gearbox and an 883cc air-cooled V-Twin engine that produces 50bhp and 69Nm of torque. One of the smoothest running Big Four, the Kawasaki Z900 offers a retro style, retuned engine, and redesigned chassis. It is a replacement to the famous Kawasaki Z800 naked, but with its new tubular steel trellis frame, it is about 20 kg heavier. For a great price, it’s rare to get that sublime balance of power and handling plus that liquid-cooled powerhouse that delivers 116 horses and 68 lb-ft torque! Are you looking for a bike that’s extremely easy to maneuver and navigate? The Honda Rebel 500 is ultimately one of the most famous bikes for that — even after a previous owner’s use. That is why even the most basic and inexperienced bikers can use this with ease. It has a low-slung seat at 27.2-inches, a low ride bar, mid-mount pegs, an impressive lean handle, six-speed transmission and a 471cc liquid-cooled parallel-twin engine tuned for upper and middle rpms. 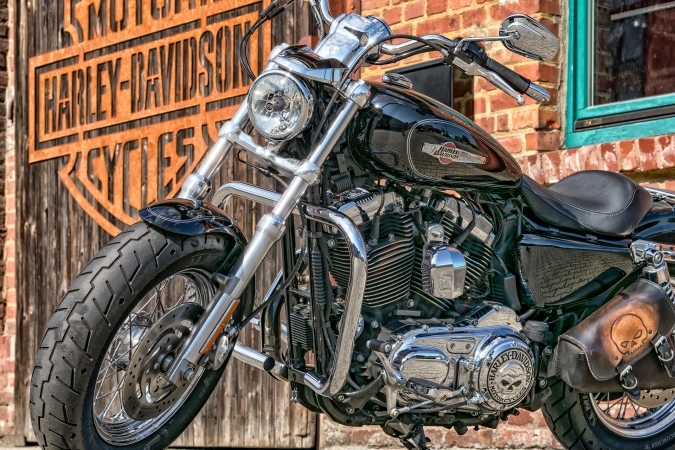 When it comes to cornering clearance, the Rebel 500 holds strong and sturdy. The linear clutch is also amazing. Donate Your Old Motorcycle Today! Do you have a motorcycle that you’d want to get rid of? If you do, you won’t have to pay for towing, skip the hassles involved in selling it on your own, and get an equitable tax deduction if you donate it to Veteran Car Donations. You can make your donation anywhere in the United States since we have car donation programs in all 50 states. Call us at 877-594-5822 or fill out our online donation form now and make a difference in the lives of our nation’s heroes!